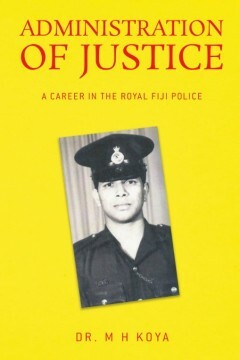 In Administration of Justice, based on over twelve years of law enforcement career in the Royal Fiji Police, the author M H Koya takes a basic look at the English Legal system drawing a contrast with the most misunderstood Islam Shariah law. The book is aimed at inspiring readers for deeper quest in an ever increasing and pervasive subject of criminal justice. Dr. M H Koya (JD) born and raised in a rural farming family won the highest honor as Police Chief Cadet in his over twelve years of law enforcement career. He worked as CID Detective, Police Prosecutor and finished his career as College Instructor. He authored Management course for the senior police administrators in 1982. In 1983 he founded the Fiji Institute of Management for which he was awarded Fellowship/PhD in 1985. He immigrated to USA, studied Administration of Justice at Sacramento City College. His combined studies have been equated to Juris Doctorate degree awarded by accredited colleges in USA. Writer, editor/publisher, Koya is a regular presenter and speaker at American Institute of Management, Interfaith America and Open Legal Forum in San Francisco Bay Area. Have you ever felt like everything and everyone was against you. Ever felt like everything you do comes out wrong. 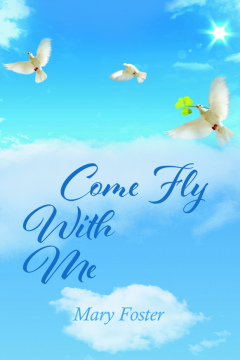 In my book ‘Come Fly with Me’ I will demonstrate different experiences that I went (through) that most people say to me how did you ever overcome that difficulty and I would just like to recant that it was sure determination. Mary Foster was raised in Flint, Michigan and now resides in Greeley Colorado, I would say quietly but anyone who knows me, knows that I do nothing quietly. I am without a mate at this time but I am never alone with all my friends. A story of endurance against the odds. There is a dearth of literature by disabled, working-class authors. This is the account of an autistic author, though one gifted with literary ability. 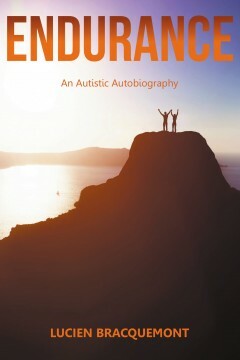 Lucien Bracquemont is eager to share his story, to help others understand the realities and issues facing those on the autistic spectrum, and to provide a voice for others on the spectrum. He has had much contact with the mentally and otherwise challenged members of the community. This work is emotionally charged in places and transparent, with a message of hope and understanding. Lucien Bracquemont of Maine is a 60-year-old workingclass individual with Asperger’s Syndrome (on the autistic spectrum) who has survived not only emotional and mental abuse and disabilities but cancer at age 41 as well. He has a bachelor’s degree in Philosophy and two years of theological training. His current job and relationships bring him into constant contact with emotionally and mentally challenged individuals. He credits his girlfriend, Katherine, of nineteen years as well as other significant factors for his surviving and thriving. Bracquemont is a survivor, not a victim. A senior in a college drops out to be with a military guy that she met at a college party. Only to find out he is a compulsive abuser that urinates on his victims and could possibly be a serial killer. So she goes into hiding until he is found. Shirley Jordan, a mother of four was born and raised in Houston, Texas. She is a grandmother of four grandsons and one granddaughter. This inspired her to write. She is a true entrepreneur. For ten years, she was the owner, founder and operator of Playhouse Cuts, a hair salon that catered to children of all ages. 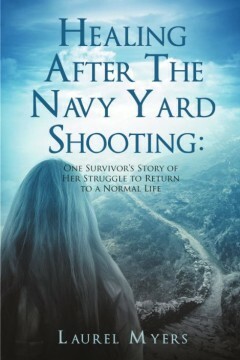 Dr. Myers’ book gives an enthralling look into what victims face in an active shooter situation. It is a must read not only for those who have experienced such trauma, their friends and family who help them to over come, but anyone who deals with PTSD. This first hand account of her experience is a vivid behind the scenes look at what has become an all too common tragedy in today’s world. Laurel Myers began her career as a teacher, then worked for the US government as a child development center director, and instructional systems specialist, joined private industry in acquisition logistics engineering, returning to government as an instructional systems specialist, then training specialist and is currently a branch chief in workforce development. Myers and her husband live near Washington, D.C. 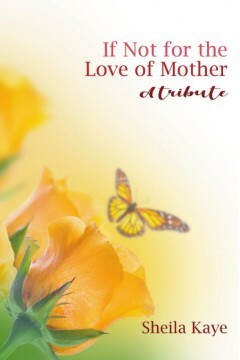 This book is a tribute to a Mother/Woman who was instrumental in the development of many lives. She shared herself with her family, friends, church family, and strangers that she met. She was always welcoming. She was always giving. She was called by many as “Mama Gordon”! She possessed a loving and determined spirit. People gravitated to her. She embraced them. I wrote this book to try and capture how much she meant to me and those she knew and loved. She left a void which is now filled with memories that will last forever. I pray to continue to grow and share her love. 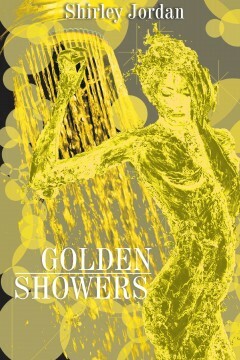 Sheila Kaye is a native of Washington, D. C. She now resides in Maryland. She attended college in Villanova, Pennsylvania and Washington, D. C. Sheila is a retired Communications professional with over thirty years of experience. Her interests are diverse. She loves music, dancing, reading, writing, arts, sports, shopping, travelling, and spending time with family and friends. 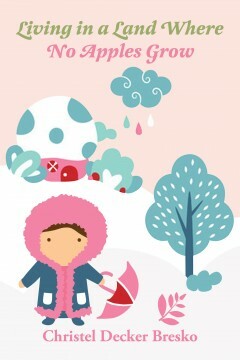 I am thankful for all my blessings. This project was a meaningful accomplishment. Dr. Nicholas V. Steiner’s career as a practicing internist ends abruptly when he develops metastatic melanoma. A series of local recurrences—including one in the brain—are surgically removed until one day the cancer returns with a predicted survival of three months. Resigned to his fate and with nothing to lose, he turns to an expert in Traditional Chinese Medicine. Within weeks of starting Dr. George Wong’s medicinal herbs—ordered from a small shop in Chinatown—the cancer disappears. Steiner has written about this in a previous memoir: Unforeseen Consequences, a Physician’s Personal Triumph over Advanced Melanoma (Xlibris). In 2001 he develops prostate cancer and again consults Dr. Wong. Chinese herbs slow the disease’s progression for years, until 2011 when faced with a gradually worsening situation, Wong suggests they fly to Beijing. Once there, the author will undergo a novel form of treatment in a military hospital; his doctor will be a colonel in the Chinese Air Force. 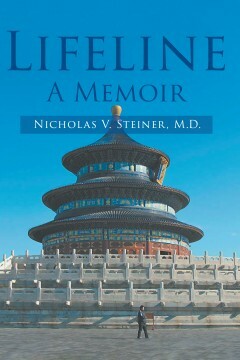 Lifeline, a Memoir depicts the unusual situations that the two men often encounter with poignancy, pathos and humor. Written in concise language, the book also contains numerous photographs taken by the author. It’s so nice meeting you. I’m very happy to see that you're interested in reading my adventures. Why don’t I give you a sneak peek of my story? Heading to an unknown land to preach the good news to a northern Indian tribe living just above the Arctic Circle may not sound like a good life but I didn’t care. 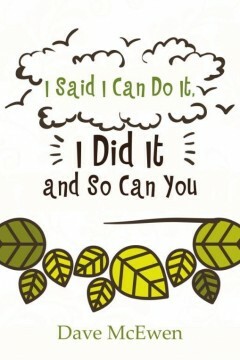 As long as I am with my husband, I can do everything. And with Christ on our side, we left everything behind to live in the remote wilderness of Alaska. Oh, what was life like while being there? Well, we have to face subzero temperatures, eat an unbalanced and sometimes unusual diet, and deal with wild animals, unpaved roads, and a number of threats to our safety. But we did everything for the glory of God. So, I hope you will enjoy this book as much as I enjoy writing it. May our story bring you so much joy and strengthen your faith in Him. 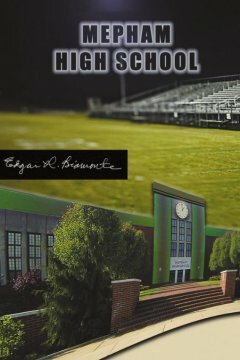 Mepham High School is a highly-detailed, well-written story that occurred during the nineteen forties which takes the reader on a journey in time and culture that captures interest and attention. All incidents and much of the dialogue are accurate. Names are fictitious except for Jack Solomons, Sal D’Angelo’s best friend who edited several of his books. Though the story includes Mepham losing its one hundred first wrestling match after a hundred consecutive wins, it is about Sal D’Angelo’s high school life. Though an intelligent regent student, he has trouble with school work because of attention deficit disorder and his difficulty adjusting to teen behavior. Sal also has trouble coping with his dysfunctional parents. An outstanding flutist as a staff musician playing on NBC and CBS, Dad is egotistical, materialistic, and conservative. He is also domineering, unjust and stern. Catering to Dad’s chauvinistic ways, Mom is unhappy. Treated like a slave, because of Dad’s income, she tolerates him, often bragging to musician friends about never washing a dish. Nor does either parent praise Sal or his sister about anything. Though loving and possessing a good personality, Sal is bashful with girls, especially since most belong to cliques that associate with boys with varsity letters in sports. Nevertheless, naively curious about the world and stunned while listening to news about the casualties during World War II, he eventually develops an iconoclastic way of thinking, yet with a sense of humor. Absentmindedly noting little things around him like leaves on trees, insects, and the ballerinas printed in the wall paper at home suggests that Sal isn’t as maladjusted as he thinks. In fact, he is like most teens his age. Edgar L. Biamonte is an accomplished musician, educator and writer. As a pianist, he has been professionally performing in restaurants and various occasions since he was 18 years old. He joined the 686th Air Force Band as a beginning pianist in 1950. Before being honorably discharged, he and the band toured Europe with Frank Sinatra, Tony Curtis, Janet Leigh, Rhonda Fleming and Ava Gardner during the Christmas season of 1952. He received his B.A. in English from Queens College, Flushing, New York in 1961 and his M.S. in Education from Elmira College Graduate School, Elmira, New York in 1968. He taught English, including poetry and creative writing at Southside High School in Elmira from 1962 until he retired in 1985. Over 100 of his 325 poems were published in literary magazines and many won or placed in various contests. Among his works are Window of Eternity, a life/death book published by Ashley Books in 1984 and Window of Eternity, a sequel published by Balboa Press in May 2012. He also wrote four novels and a collection of short stories. He eventually became an accomplished jazz pianist and composer and soloed on several Carnival Cruise ships and “Mariner of the Seas”, Royal Caribbean Line. He still plays piano professionally and appears on the Internet under edgarbiamonte.com. Currently, he is a resident of Hemlock Farms since he moved from Miami in 2002. He has three sons, one daughter, two grandchildren and five great-grandchildren.